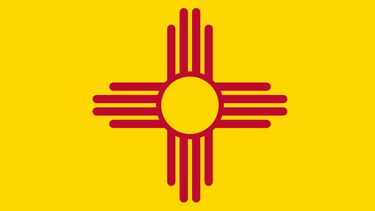 According to a recent study conducted by The National Jurist, New Mexico is in the second hottest job market for entry-level attorneys. The article “Hottest Job Markets for entry-level attorneys” says that the Mountain area – consisting of New Mexico, as well as Arizona, Colorado, Idaho, Montana, Nevada, Utah, and Wyoming – has an overall job placement rate of 78.3% and that the ratio of graduates to jobs is 1.05. The UNM School of Law is dedicated to helping students and graduates in their legal careers. The Office of Student and Career Services provides all students and graduates with individualized comprehensive professional development assistance. The legal market is not flooded with entry-level candidates, as the UNM Law School is the only law school in the state and has a small student body. “This will be particularly important given the state’s budget situation, which will likely have an impact new attorney hiring, especially as we traditionally have more recent graduates accept positions in public service than other law schools,” adds Harrigan. The National Jurist studied data for the Class of 2015 from both the National Association for Law Placement and the American Bar Association to identify which geographic regions offer the most entry-level positions, then split the U.S. into 20 geographic regions and assessed each for the ratio of jobs to graduates, as well as the placement rates of schools within each region.